For me growing radishes has been fairly easy. I put the seeds in the ground, cover them lightly, water and then wait a few days. It usually doesn’t take more than that for the little plants to sprout and begin their short growing period until harvest. 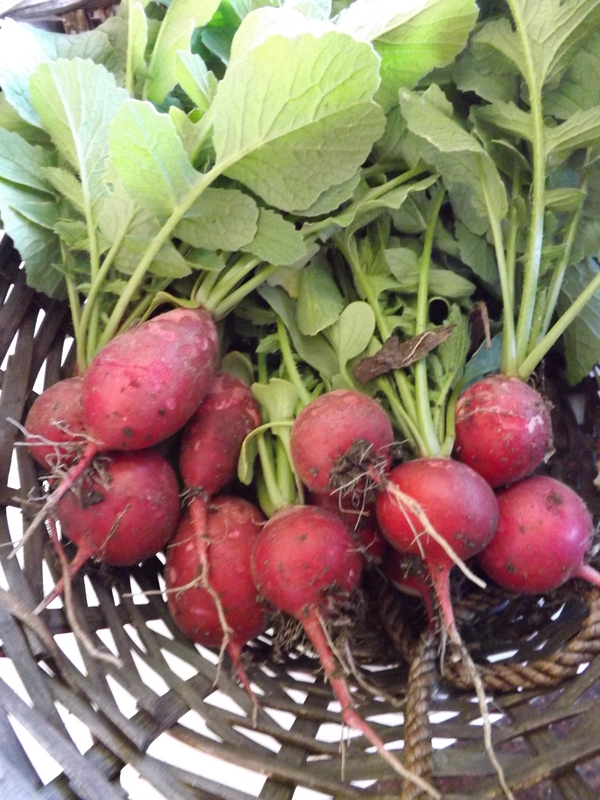 Typically within a month to 6 weeks we are enjoying wonderfully fresh radishes. Then I replant and we wait again. This year, however, has been a little different and I didn’t give it much thought until yesterday. After bringing in the morning harvest I set to work on cleaning the radishes and getting them into some cold water. Anxious for my first taste of our second crop of radish I popped one into my mouth. About 10 seconds later I was spitting it out in the sink and my mouth was on fire. Never in my life had I had a radish that was so hot that I couldn’t at least choke it down. For about 15 minutes my mouth burned and even milk and bread didn’t help to sooth it. This is part of the second planting of radish. 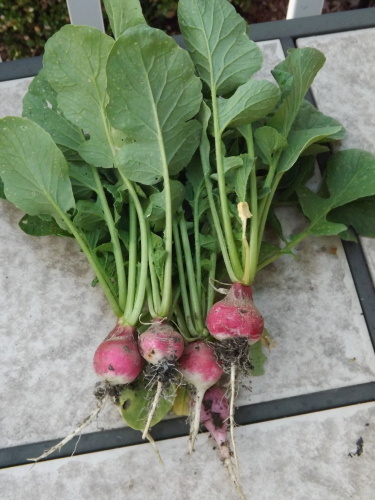 Now for a bit of history, the first crop of radishes were somewhat hotter than last years crop too, but I figured it was just the variety I planted and possibly the fact that they were in a new part of the garden with different soil. Although hot, they were by no means inedible. So when the time came to replant after harvesting most of the first crop I went out and bought a package of mild non-GMO seeds. This way I figured we could actually enjoy the radishes. To my dismay, the new crop of radishes is not only hotter than the first, but inedible. Even Hubby who can tolerate a lot hotter things than me, couldn’t stomach the hotness. Why? What in the world is going on? Thank God for the Internet! I did a little research and learned that there are several factors that could affect the hotness of a radish. The length of time the radishes are in the ground. The radishes may have grown too slowly. The radishes are too old. The weather was too hot. 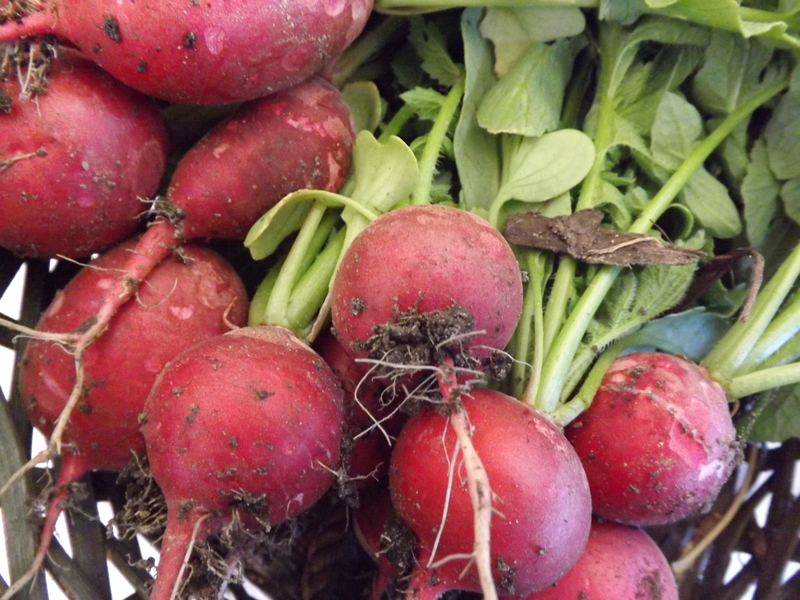 Radishes need cool weather. Well, I didn’t need to go any further. With temperatures close to 90 for nearly the past month it’s not hard to see why my radishes were so hot. 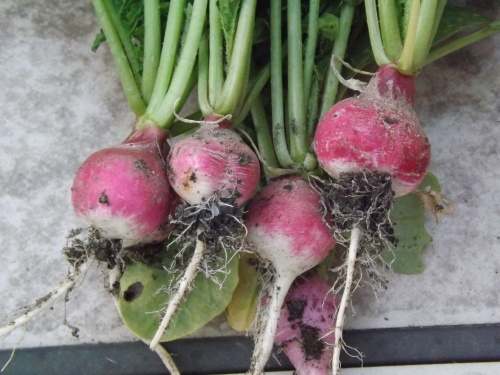 I never gave it a second thought when I planted my second crop of radishes at the beginning of June when the weather was really beginning to heat up. My crop was picked just as soon as the radishes were more than a dime in size and rounded out and grew in precisely the amount of time indicated on the package. The heat is the only explanation for this. Last year we had a much cooler summer, thereby explaining why the radishes were not even close to as hot as the ones this year. My solution? Well first and foremost I am not going to be replanting radishes again until fall, or the 15 day forecast promises much lower temperatures. 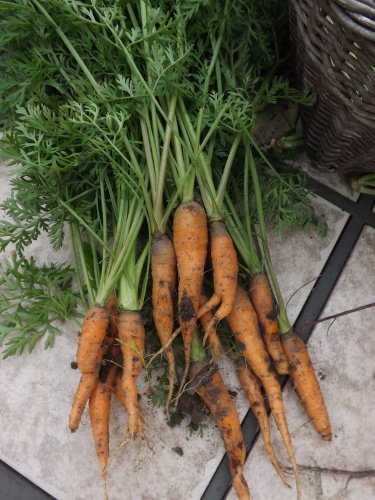 Second, the rest of the crop that is in the garden will remain there, unpicked. I will let these go to seed to enrich the soil a bit and possibly gather some seeds for planting in the fall or even next year. True to form, gardening is a process of learning, trial and error, and an exercise in patience and perseverance. My radishes might be down, but this gardener is by no means out, and for this I am — Simply Grateful. Categories: Harvest, Radishes | Tags: Garden Problems, Gardening, Harvest, Radishes, Too Hot Radishes, Vegetable Gardening | Permalink. 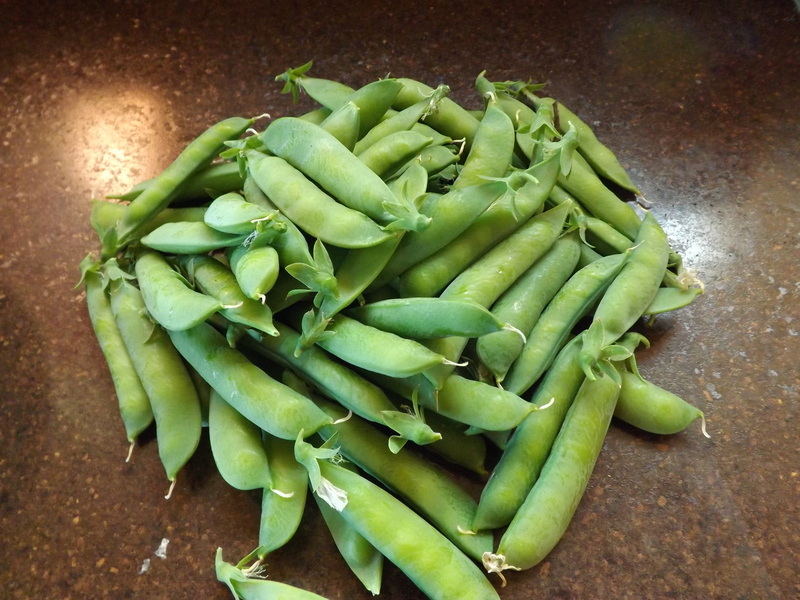 Although the unrelenting heat and humidity here in Michigan has been reaping havoc on my garden, at the same time it is truly making up for it in bounty. This morning I picked radishes, carrots, peas, and beets. I planted a different variety of radish in hopes that these would be less hot than the first. 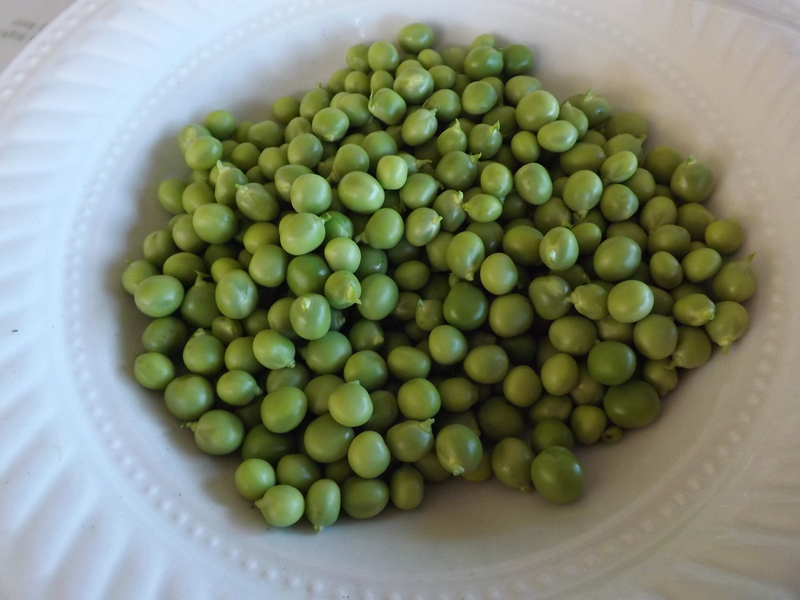 This is the third harvest of peas and the largest yet. These will be shelled, blanched and frozen, if they don’t get eaten raw while I’m shelling them. I really didn’t think the beets were ready, but yesterday while I was clipping the cucumbers to the a-frame I noticed several of them popping out of the ground. 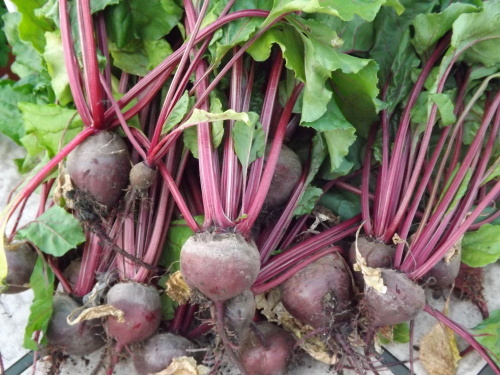 Although this is okay for cylindrical beets, when a round beet does this, it’s time to pick. 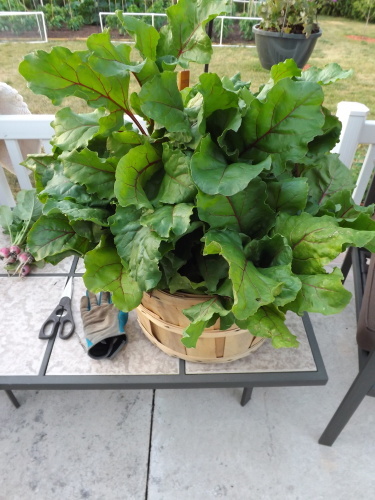 I used a bushel basket to carry the load of beautiful beets with their greens attached. This is only about half of what I planted. Hopefully the rest of the beets will be ready in a few weeks and then I can replant in August for a fall crop. 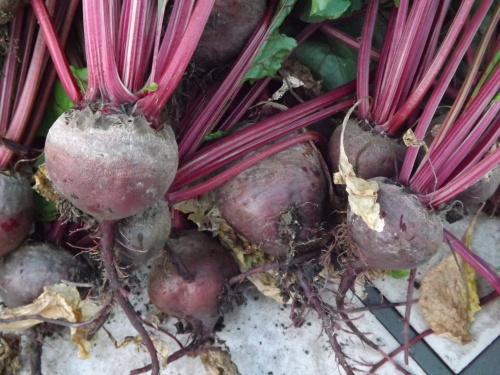 I was so happy with the harvest that I just had to share some of the beets with my neighbors. They were thrilled and I was thrilled to be able to share the bounty. In the next couple of days I should be able to start picking zucchini and a few peppers. The cucumbers have tiny pickles on the vines and the tomatoes are full of green little balls. I guess I really shouldn’t complain about the heat because it is what’s helping the garden so much. Yet I’d really love it if we’d get just a little rain. Another successful harvest and for this I am — Simply Grateful. 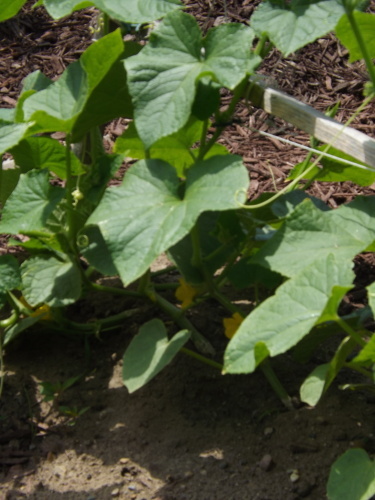 Categories: Beets, Carrots, Garden Progress, Harvest, Peas, Radishes | Tags: Bounty, Gardening, Harvest, Michigan Weather | Permalink. 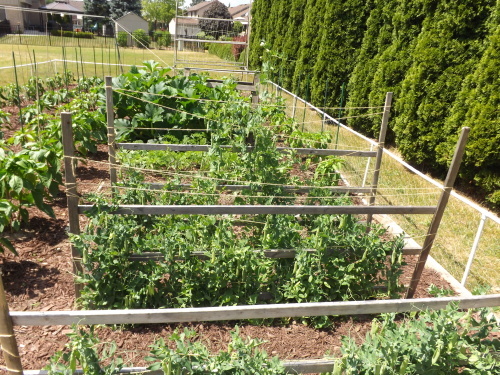 Although I am still struggling with tomato leaf curl on several of my plants, for the most part, the garden is doing well for the beginning of July. There are six different types of peppers planted in the garden: Anaheim, Jalapeno, Sweet Banana, Yellow Bell, Romanian Bell, and Pablano. Of these only the sweet banana and Romanian actually have peppers. The remaining are full of flowers and continuing to grow. This being my first year growing zucchini, I’m very happy with the results. 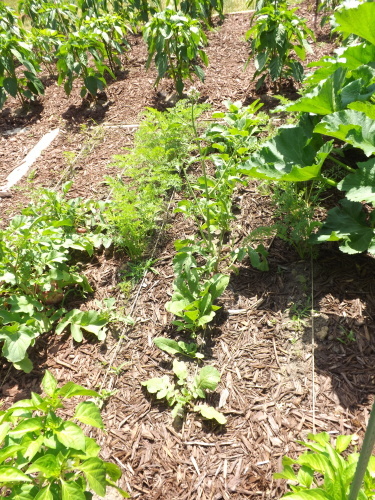 I think that perhaps I should have given the plants more space as they are taking over the radishes, beets, and even sneaking into the peppers. Next year I’ll know better. 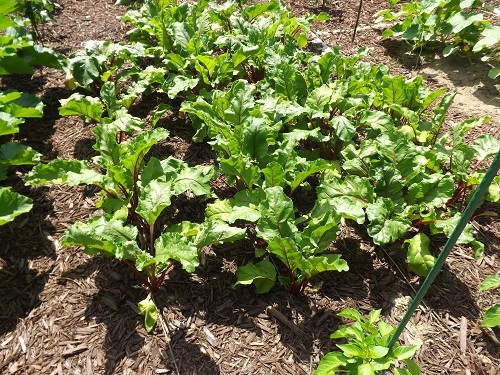 The beets are getting big and will probably be ready for harvest soon. I’m not too optomistic, as they seem to be small. I’m not sure the ground is soft enough for them to grow. 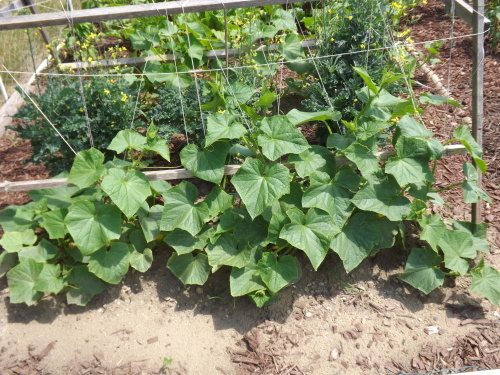 The cucumbers are finally big enough to climb the a-frame and there are tons of flowers already. Without many bees around though I’m not sure how many cucumbers we’ll get this year. I might be out there pollinating the flowers myself. 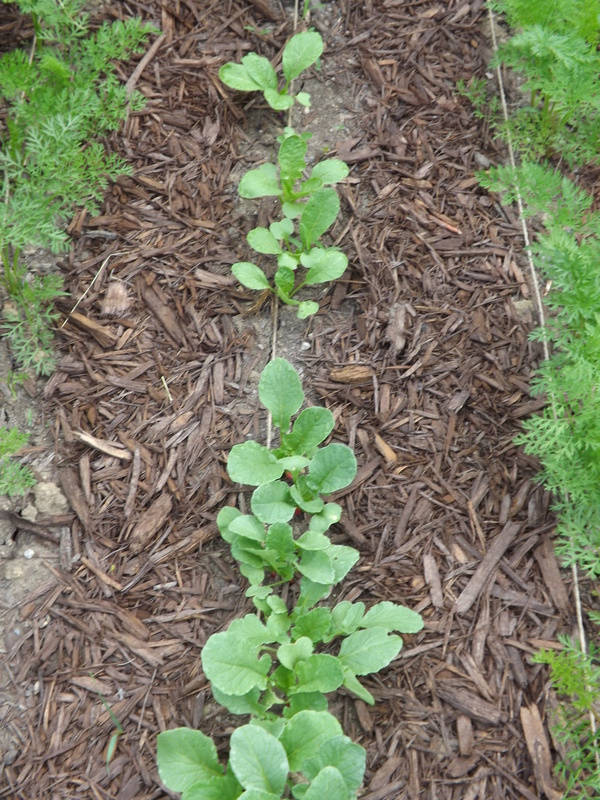 The second planting of radishes are doing well and will probably be ready for picking in a week or two. 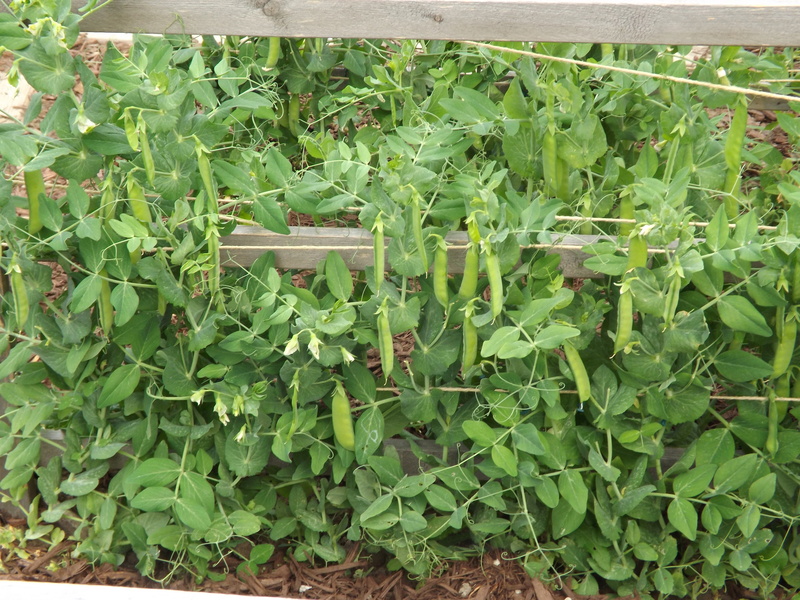 The peas continue to flourish and I’ve picked three times now and the flowers are still coming. Overall everything seems to be on schedule so barring anything catastrophic, hopefully by late July we’ll be getting some pretty bountiful harvests, and for this I am — Simply Grateful. 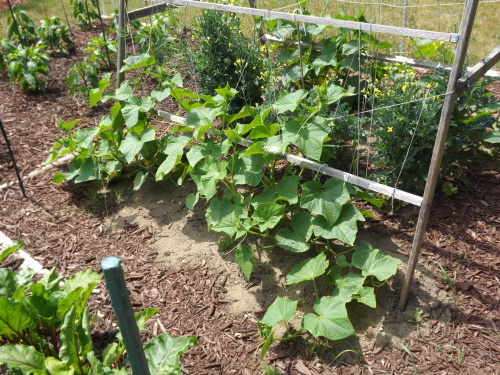 Categories: Garden Progress, Harvest, Peas, Peppers, Radishes, Tomatoes, Zucchini | Tags: Beets, Cucumbers, Gardening Update, Peas, Peppers, Radish, Tomatoes, Zucchini | Permalink. The garden is really coming along, after a touch and go start this year. 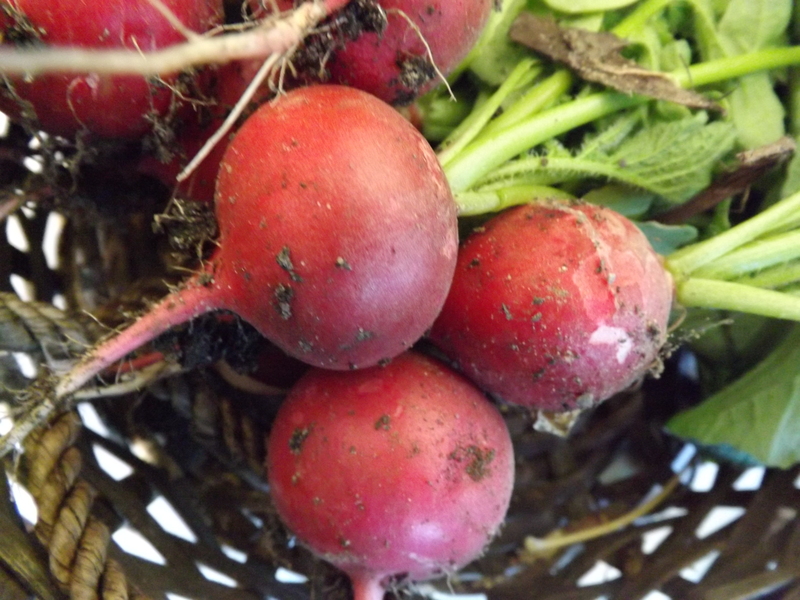 Already we have picked the entire first crop of radishes and replanted. The second crop is already up and about halfway to harvest. 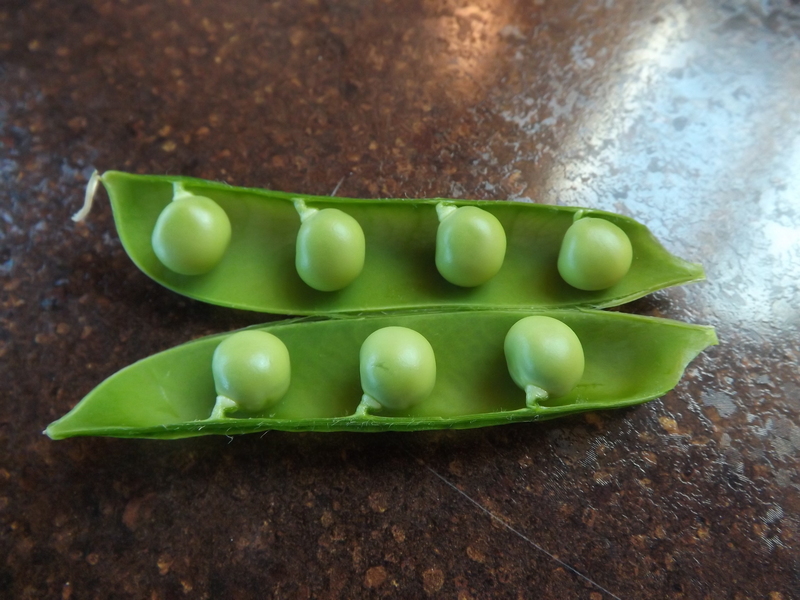 The peas are beginning to come in and I’ve been picking for a few days now. This could go on all summer, if it’s anything like last year. 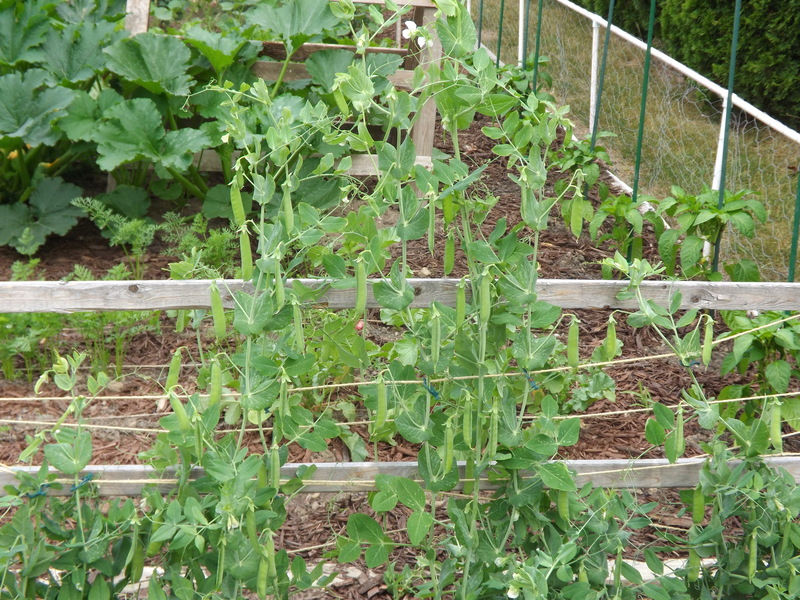 I think I might have to make my pea fences a bit higher, as they are already at the top. If they do stall and start to die off, I’ll be more than happy to plant a second crop to harvest this fall. Next year I think I’ll plant even more rows, as we’ve been eating them as quick as we pick them and I don’t have any left to put up for the winter. Perhaps a trip to the local fruit stand is in order, not a bad thing — I just love those places, and for this I am Simply Grateful. 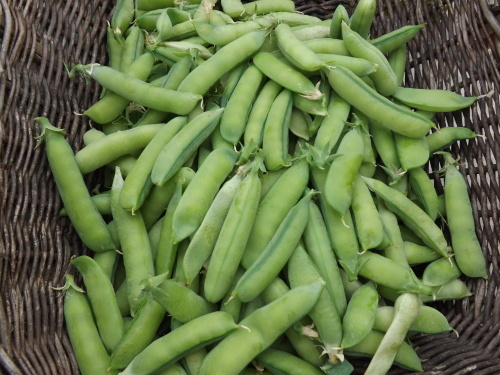 Categories: Harvest, Peas, Radishes | Tags: Gardening, Harvesting, Peas, Radishes | Permalink.